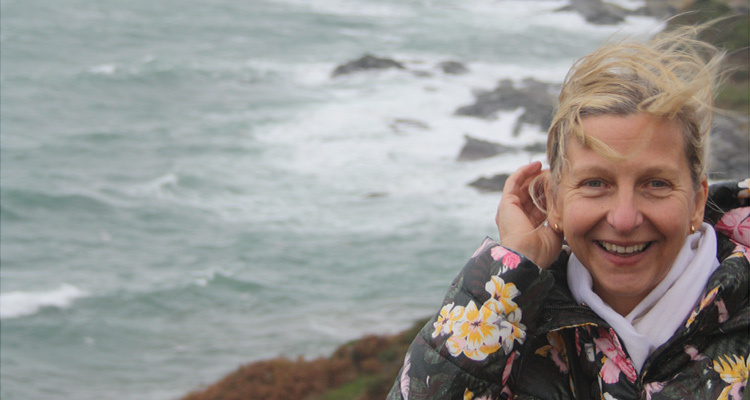 Leading British microplastics researcher Professor Tamara Galloway has been shortlisted for a NERC Impact Award to honour the substantial benefit her work has provided for society. "A decade ago, the word ’microplastics’ was a little used term and interest in their effects on the ocean environment was limited even among researchers." Professor Galloway, from Exeter University, and her team of colleagues at the University of Plymouth and Plymouth Marine Laboratory, started looking into the effect that tiny pieces of plastic could be having on marine life in 2004, at a time when other experts remained sceptical. The team predicted that microplastics, from sources like larger plastic pollution and microfibers from clothing, would be widespread in the ocean and the marine food chain - and went on to prove it. Now widely regarded as top of her field, the research has had a lasting impact on laws, such as supporting the UK ban on using microbeads in the manufacture of products, that came into force this January and means that 4,000 tonnes of plastic microbeads per year will not be released into the marine environment. The research has helped to raise awareness about the pervasive issue of microplastics among the public and the academic community, including advising on the seminal BBC series Blue Planet II. Tamara and her colleagues are now investigating how we can make the plastic economy more sustainable by closing the production-to-waste loop, so that used plastic is recycled back to the source and none escapes out to sea as pollution. Read more about Professor Galloway’s work in the Planet Earth article From “trivial issue” to prime time TV: A researcher’s journey through plastic. The 2018 Impact Awards celebrate NERC funded scientists, as individuals or teams, whose work has had a big impact on the economy or society in the UK or internationally. Professor Galloway and her team are shortlisted in the Societal Impact category. The winners will be announced at ceremony at the Natural History Museum on Monday 3 December. “I am absolutely delighted that Tamara has been shortlisted for this prestigious award. 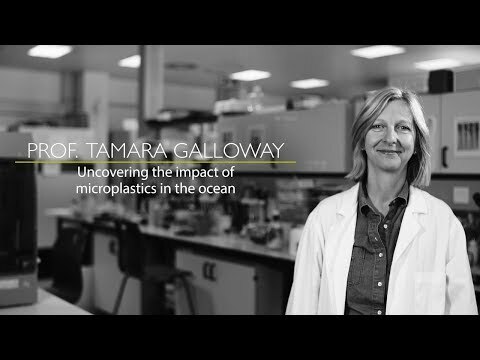 The world-leading research carried out by Tamara, and her team of colleagues, has made a crucial difference in our understanding of how detrimental microplastic pollution is to the environment. “We all have to make choices about how we use plastics and it isn’t always easy to do the right thing. Plastics are in such a huge range of products - from mascara to coffee cups - that it can feel impossible to make a difference, but we can. The passion that drives my research is that I want to protect the environment. I want to protect it for my children, and for future generations. The research that we submitted for the NERC Impact Award has shown that microplastics are present in the oceans and in a wide array of marine creatures where they can have a harmful effect. In some of our early papers we were able to show that marine mussels do in fact ingest plastic with their food. We used special florescent techniques to show that, once eaten, those tiny pieces of plastic could be taken up ’across the gut’ meaning that, when the mussels are eaten by larger predators, the plastic could be passed up through the marine food chain, ultimately ending in us. It is vitally important that we tackle the issue by preventing plastic waste from accumulating in the environment. We need to make the supply chain circular rather than the current linear model, which means usefully re-using the plastic products we make. We need to find alternative materials that can be produced cheaply and, crucially, don’t break down into particles or chemicals that can cause harm to the environment. Our research was used to support a ban on microbeads in the UK. Microbeads are the tiny pieces of plastic that are added to a number of different consumer products, things like shower gels and different cosmetics, and what this means is that 4,000 tonnes of plastic microbeads will not be released into the environment because that law has been bought in, equating to many billions of tiny pieces of plastic. 1. NERC is the UK’s main agency for funding and managing research, training and knowledge exchange in the environmental sciences. Our work covers the full range of atmospheric, Earth, biological, terrestrial and aquatic science, from the deep oceans to the upper atmosphere and from the poles to the equator. We coordinate some of the world’s most exciting research projects, tackling major issues such as climate change, environmental influences on human health, the genetic make-up of life on Earth, and much more. NERC is part of UK Research & Innovation, a non-departmental public body funded by a grant-in-aid from the UK government. 2. The University of Exeter is a Russell Group university that combines world-class research with very high levels of student satisfaction. Exeter is ranked 14th in The Times and The Sunday Times Good University Guide 2018 and 14th in The Guardian University Guide 2019. In the 2014 Research Excellence Framework, the University ranked 16th nationally, with 98% of its research rated as being of international quality, while in 2017, Exeter was awarded a gold rating in the Teaching Excellence Framework assessment. Exeter was named The Times and The Sunday Times Sports University of the Year 2015-16, in recognition of excellence in performance, education and research. Exeter was The Sunday Times University of the Year 2012-13. The University launched its flagship Living Systems Institute in 2016, a world-class, interdisciplinary research community that will revolutionise the diagnosis and treatment of diseases. This follows recent investments of more than £350 million worth of new facilities across its campuses in recent years; including landmark new student services centres - the Forum in Exeter and The Exchange on the Penryn Campus in Cornwall, together with world-class new facilities for Biosciences, the Business School and the Environment & Sustainability Institute.